Wine Festival: Heaven on Earth? Last night, Jürgen and I visited the wine festival which we blogged about last week. And now would like to offer you one simple piece of advice: GO. And go in the evening. There are hundreds of people milling about, providing an atmosphere which starts good and gets better as everyone gets more and more drunk. By the end of last night, we were being entertained by fancy ladies cackling at nothing in particular, groups of kids screaming and singing, and swaying old people trying & failing to project a dignified air of sobriety. 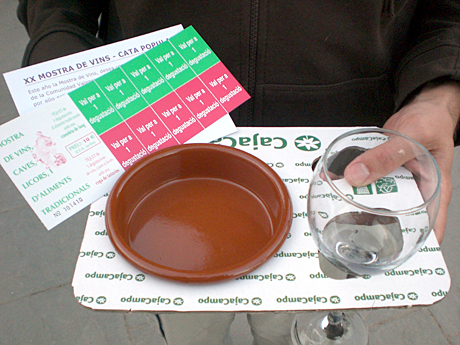 For €10 at the entrance, you get a wine glass, a tapas dish, and enough tickets to fill each five times. It’s an invitation to intoxicate yourself. 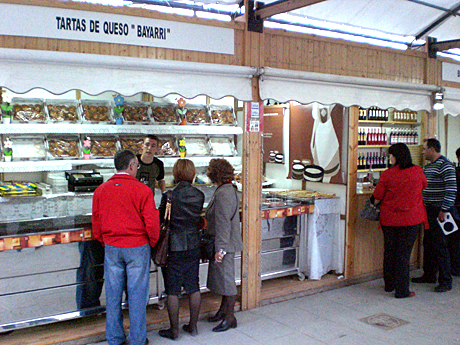 Then, you walk around the hundred-or-so stands and pick out promising looking wines. Although we drink a lot of wine, we are not connoisseurs, and so just picked the stands that looked popular. Before we left, we bought 5 bottles of the best wines we’d tried — a decision doubtlessly facilitated by our level of intoxication (which, now that I think about it, is perhaps why they’re so generous with the amounts they give out). If you like wine, food and having a good time, I strongly recommend you go (and if you don’t like those things, stop reading this blog immediately — we are not friends). 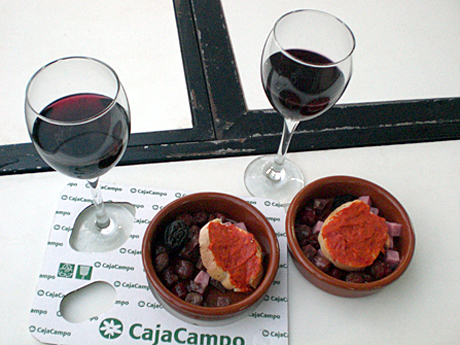 €10 for 5 plates of tapas and 5 glasses of wine is a deal that is hard to beat. Sunday, April 6th, is the last day, so don’t delay! 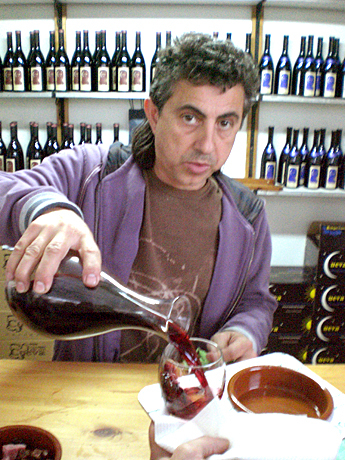 What date is the wine fair this year?